Pouf. Puff. Footstool. Hassock. Ottoman. Patterned ottomans bring fun and personality to the space. Call it what you like, and that is the whole point. The ever versatile ottoman is possibly one of the more overlooked pieces of furniture in the room. The ottoman holds your weary feet at the end of the day. Pair it with a tray and keep your drinks and books stable. Provide a perch for your guest while they enjoy witty banter and stiff pours. 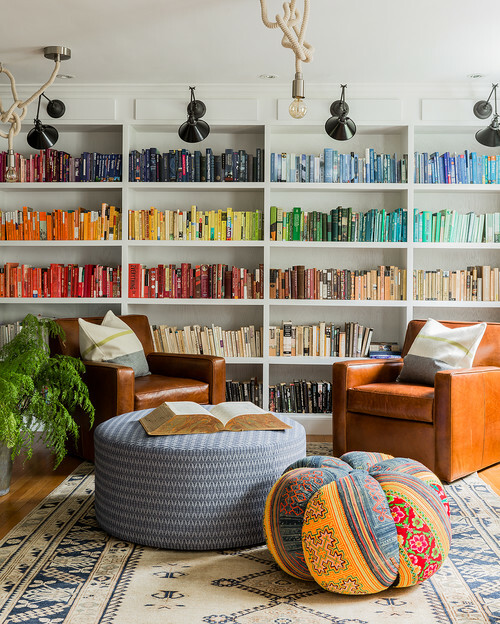 And it is often where one feels the most comfortable to display that brightly colored pattern that completes their soul as well as the room. 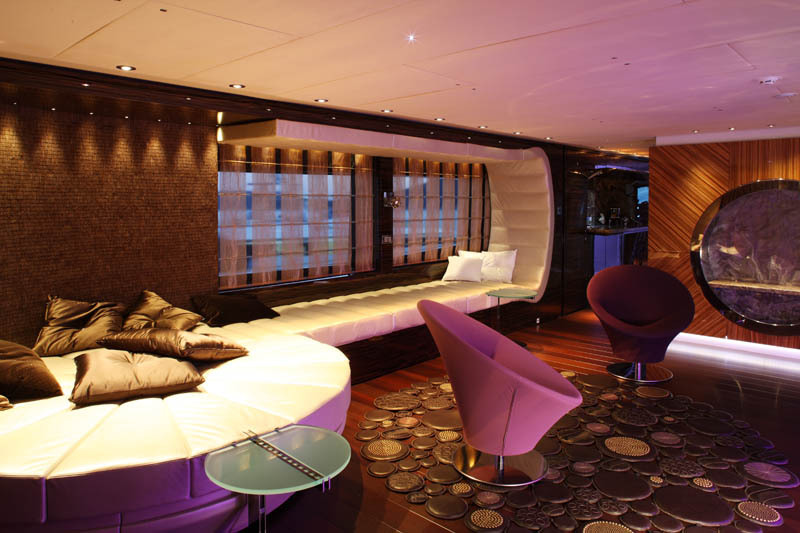 Will Ferrell’s space uses several ottomans and poufs to give each seat a lounge feel. 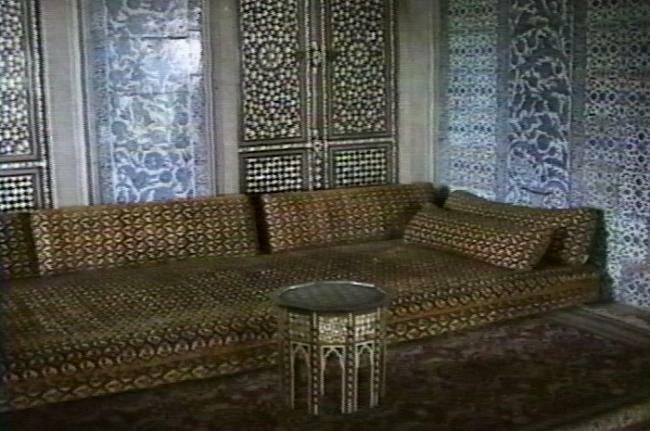 The Ottoman took it’s namesake and importance during the Ottoman Empire. It was often piled with cushions in the center of the room, and used as the family seating. Since then it has taken on many forms and uses. The ottoman has changed from being a fitted furniture fixture that wrapped around a room, to the circular shape in the center we know today. Clubs and lounges have helped the rise in popularity as they provide a comfortable open spot the helps the conversation flow. Large ottoman provides a loungey place for friends to hang out. Whether it is a place to rest your feet, or the missing design element in your room, embrace the ottoman and let it complete your interior. 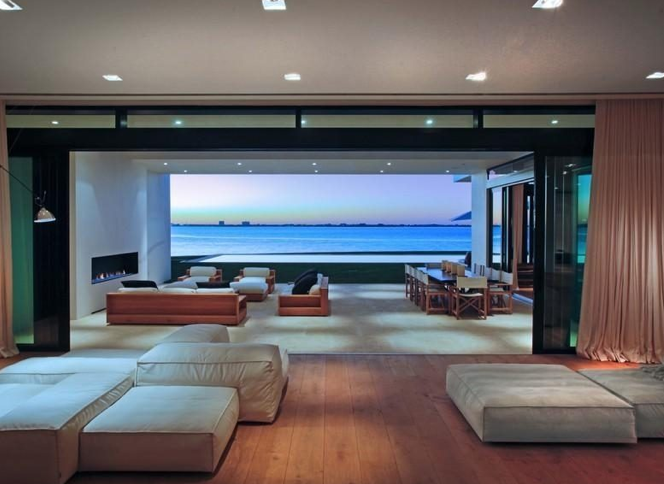 By providing seating through ottomans this space has kept the view unblocked and the main focal point of the space.